Amazing events don’t happen by accident. They happen when a director and performer set up every activity to have an intended impact. This is what moves an audience to laughter, tears and joy and leaves them touched and moved. 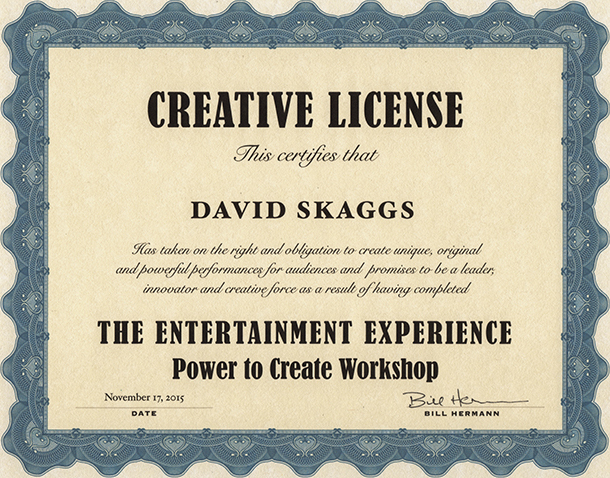 The Entertainment Experience – Power To Create workshops provide the tactical means to implement staging, story, powerful transitions and a memorable performance into an event. Workshop attendees learn the methods to design an original work by collaborating with clients from a theatrical perspective to create a memorable experience for guests and clients that goes far beyond their expectations. The MarBecca Method MC Workshops are an introduction to being a true Master of Ceremonies, including the definition, duties, and elements for proper execution of those duties. The workshops cover the basics of the physical, technical, and emotional aspects of of the job with a focus on vocal skills, staging, microphone technique, timing, transitions, function and motivation. 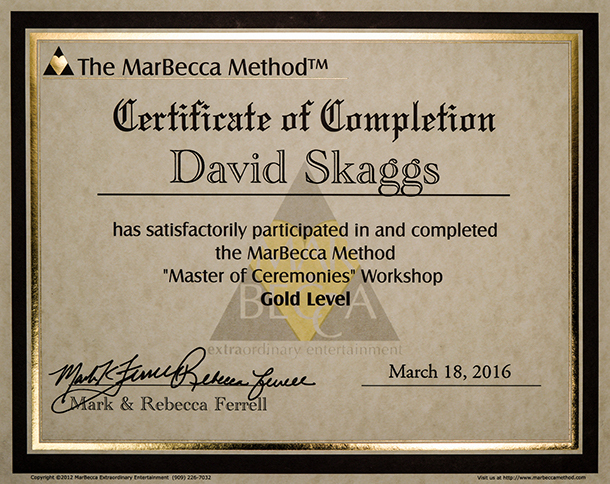 The MarBecca Method is considered to be the gold standard for Master of Ceremonies education and instruction among DJ professionals worldwide. “The Love Story” is a narrated feature that applies acting and storytelling skills to personalize your event in ways you’ve never imagined before. Mark and Rebecca Ferrell originated the Love Story concept & have been doing it since 1989. The Love Story workshops teach why & how it was intended to be used and delivered, from the people who are immeasurably qualified to teach it. Announcing is a very stylized way of speaking, which will take time and effort to perfect. MarBecca Announcing workshops help attendees find their own voice; their own unique style of speaking that is different and distinguishable from anyone else. Announcing is about being truly unique. It’s not about merely forcing or projecting your voice. An Announcer announces — stylishly, cleanly, crisply, and uniquely. Author of “The Best Wedding Reception…Ever!”, Peter Merry instructs wedding entertainers on the process he uses to create unforgettably fun wedding receptions with the Make It Grand workshop and The Professional Process. 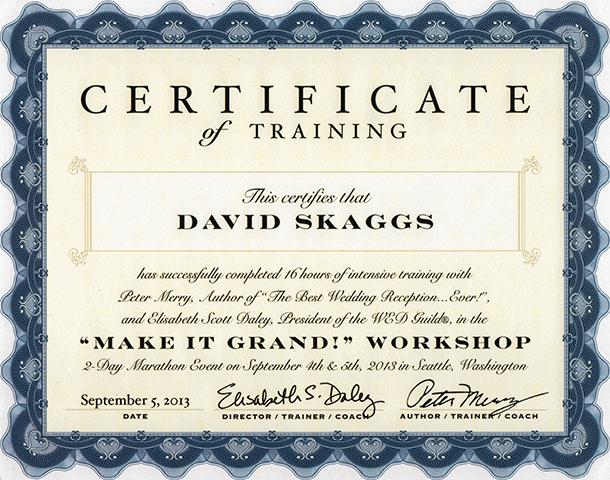 Workshop attendees learn from multiple writing and performance exercises designed to help them create their own voice and delivery style as a Master of Ceremonies in Make It Grand. 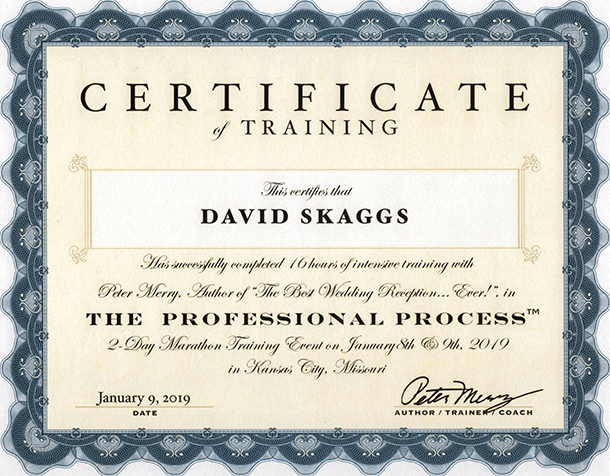 Participants also learn techniques designed to help them take their stage as a confident Master of Ceremonies allowing them to direct and guide any event with precision and ease. Attendees learn how the use of proper staging and timing will dramatically improve their effectiveness, and finally, workshop participants learn how to work with couples planning their wedding to create an immersive and personalized wedding experience by implementing creative and unique techniques in The Professional Process. 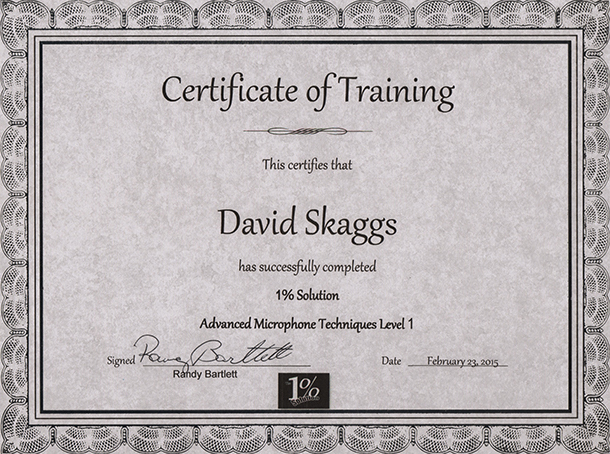 The 1% Solution by Randy Bartlett is designed and produced for Mobile Entertainers. The concept is simple-very small, easy to implement changes which will result in a vastly improved performance. 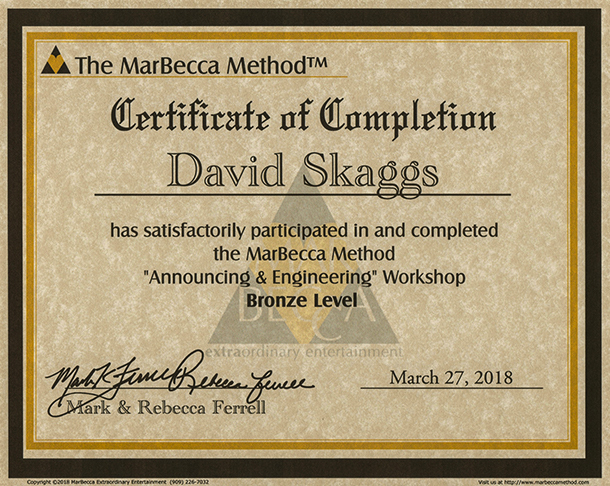 The Level 1 Workshop concentrates on the welcoming announcement, teaching ideas and techniques that will allow the DJ to own the room, generating genuine excitement, enthusiasm, applause and cheers within seconds of turning on the microphone. 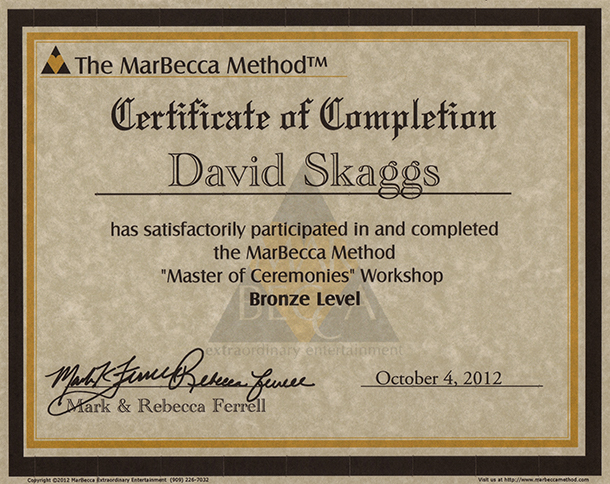 Attendees leave this Workshop with the skills to overcome any obstacles they may encounter at an event. 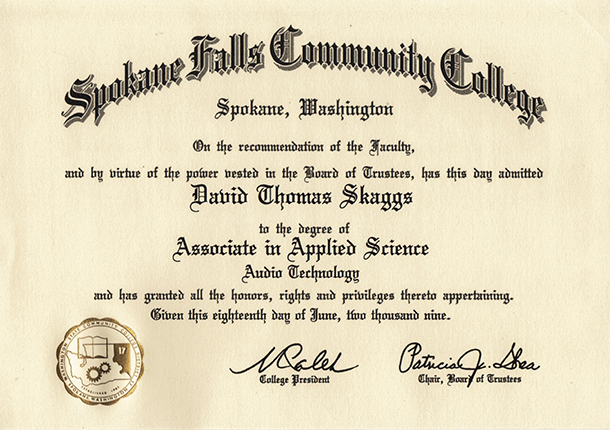 Graduates understand the use of studio recording and live-sound techniques, acoustics, microphones, mixing boards, signal processing and digital audio software. The two year program studies the history of audio technology and explores digital audio production, analog and digital recording, live sound engineering, sound design and other areas of the field. The only one of its kind in eastern Washington, the program teaches students how to produce, record and manage music and sound using professional audio tools and digital technologies. 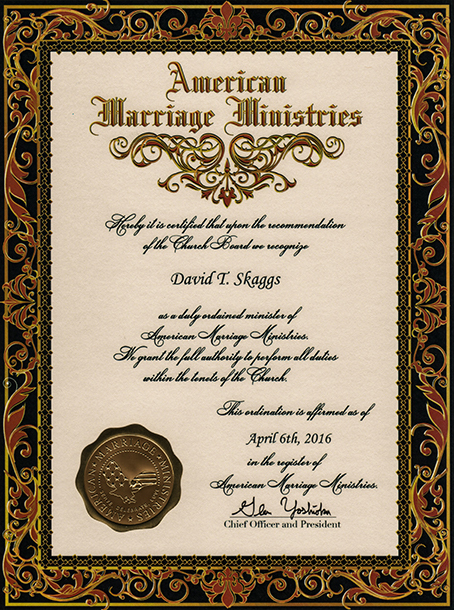 Beyond the extensive continuing education pursued by David Skaggs at Audio Affiliated, as a duly ordained minister of American Marriage Ministries, David is also ordained to perform marriage ceremonies. A great insurance policy in the event an originally appointed individual becomes unavailable at the last minute… you can still legally get married!